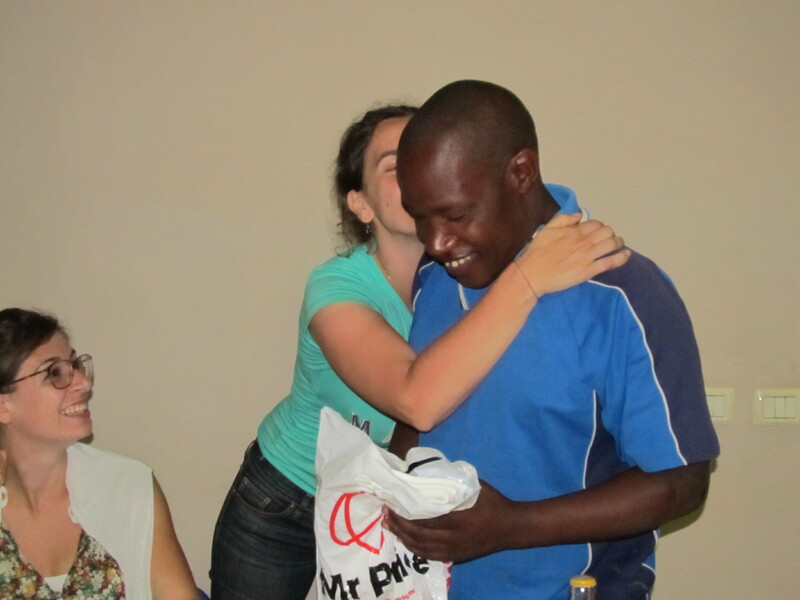 Tonight Andiamo bids farewell to Aeper volunteers who came in Malawi on the night of 24th March and are leaving for Italy tomorrow. Their stay has been much appreciated mostly for the love they showed to the ex-streets. Aeper volunteers mentioned that they are looking forward to the expansion of Tigawane Project. 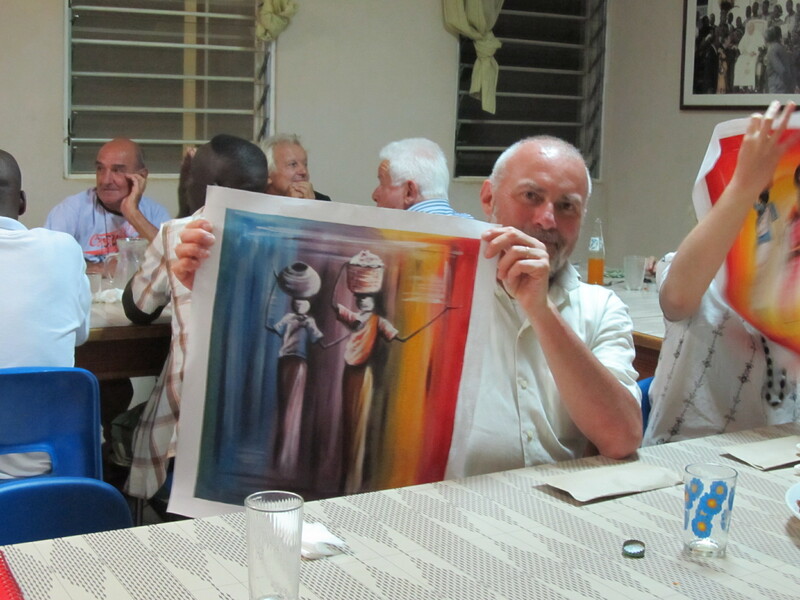 The trip has been an opportunity for the volunteers to appreciate Malawian way of life and African in general. 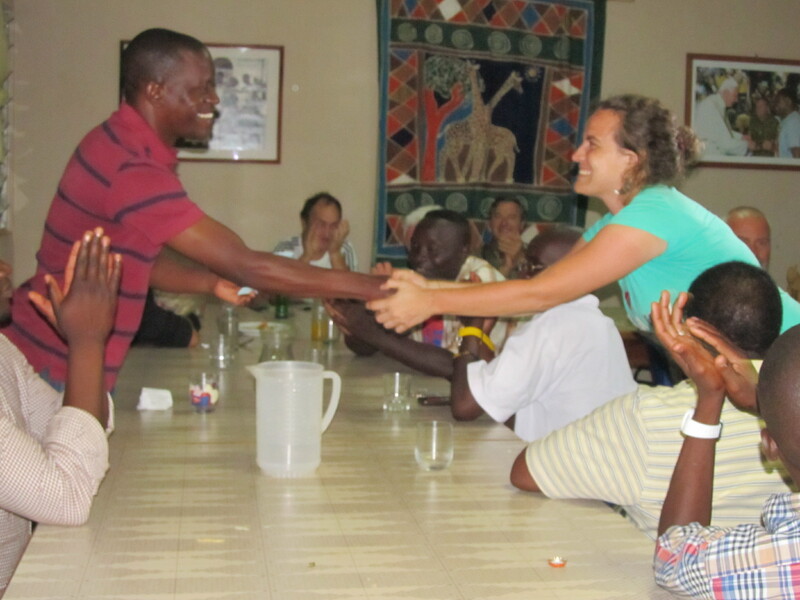 Mr. Galeta; the director at Andiamo Trust encourages them to feel welcome to come again anytime. “I neither understand Chichewa nor English, but we have communicated with our hearts” says Aunt Anna. Valeria Giassi thanked the Aeper with gifts of paintings and sculptures for their kindness and oneness they have displayed in the time. Aeper retaliated by showering gifts to Kamtema and the ladies who were present for the dinner. Alessandro Marchetti will accompany the volunteers where he will also attend the funeral of Fr. Giuseppe Cortinovis [may his soul rest in peace] who passed away last week. This entry was posted in News from Malawi, Social Development and tagged AEPER, Alessandro Marchetti, Andiamo Youth Cooperative Trust, Andrew Galeta, Aunt Anna, Harry Pongolani, Italy, Valeria Giassi. Bookmark the permalink.